This to me is obvious, so I won’t ramble on here too much, but if you think about it, the subject line has a direct correlation with the open rate. If the subject line showcases value to the recipient, he or she is more likely to open it if it wasn’t relevant. Action items: Test, test, test—you’ll never know if you don’t test subject lines against themselves. The subject line will be relevant to the remainder of this list, and I’ll give you more direct ways on how and when to test your emails. Continuing to send emails that highlight and promote the same content? 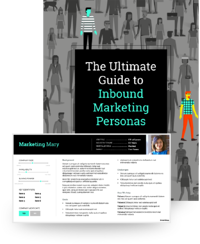 Perhaps you had a white paper that was recently developed, and your sales team is looking for new leads, so you continue to blast your list with the same white paper. Maybe you change up the messaging a bit every time, but at the end of the day, the content is the same. If you hammer this same message, your open rates are almost guaranteed to drop. Maybe you can change up the subject line for those who didn’t open it before segmenting the list a bit—probably a good place to start, but you surely don’t want to abuse your list with the same old content you’ve pushed before. I’m often asked by clients how often lists should be scrubbed, updated, etc. My usual answer is “It depends.” Without having clients roll their eyes too many times at me, there are some things to consider when cleansing lists. For me, the biggest factor is the buying cycle. Some products have a short (one- to two-month buying process), and I have some clients whose buying cycle is north of a year. The frequency of cleansing lists should differ for each of these scenarios. My first recommendation on where to start is looking at contacts who’ve had emails bounced and then emails that haven’t been opened. If emails bounce more than twice, they should probably be removed from the list. Getting more granular, I usually advise clients to look at their database and identify anyone who HAS NOT opened an email in the past six months. This again depends on the buying cycle, but if someone hasn’t engaged in email or anything else in the past six months, he or she is probably no longer relevant for sales, etc. 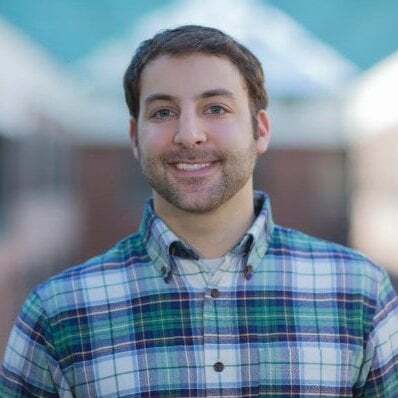 With the HubSpot platform, you’re also able to see if contacts have or haven’t been to your website over the same timeframe, have or haven’t been engaged, have or haven’t been on social media, etc.—all great factors to consider when cleansing an email list. The other part of this equation is segmentation. This is again dependent on your personas and products. Using SmartBug as an example, regardless of how a prospect finds us, he or she, at some point, converts on our offer Mastering The Art of Website Redesigns. It wouldn’t be wise to send them an email showcasing inbound marketing content but rather content about Web design. So on the back end, we enroll these prospects in workflow that will only send them additional content, case studies, etc. about our knowledge of Web redesigns. This is a great way to boost your open rates—I know this is just one example, but you really need to look at your personas and enroll them in messaging that is relevant to their pain points based on what has already been consumed. 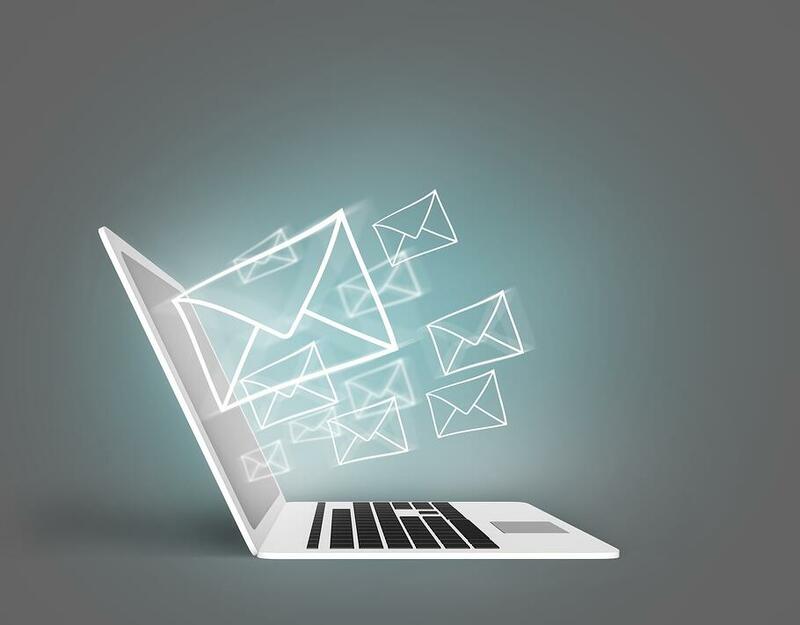 Our pals over at HubSpot published this blog post last year: What's a Good Email Open Rate & Click Rate? [Benchmark Data], which I’ll give all the credit to for these next graphics. 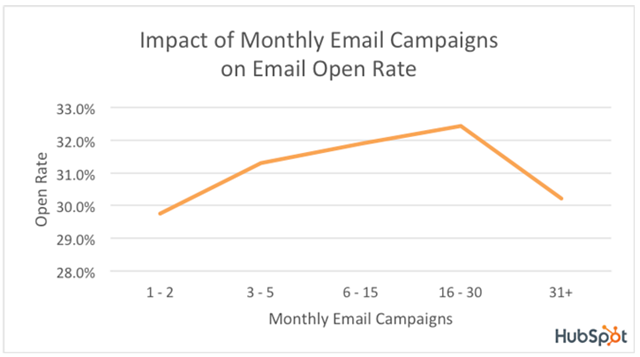 Give the blog post a nice read; it has some solid data (from actual HubSpot customers) on open rates and their relation to how often you send email. Remember: This is an average for a handful of HubSpot customers and can change from industry to industry. The one takeaway I’ll add to close out this article is one I hit home about already: Test, test, test. Test in order to see if this holds true for your company. And then guess what: Test some more. It’s really the only way you’re going to be able to answer that “why” question we all are curious about.